From your kitchen sink to your bathroom area, drains begin to clog over time, causing them to run slower as the build up of soap, grease, and toilet paper continue to clog up your pipes. If you are experiencing slower drains, the professional plumbers at Mike Tilton Quality Plumbing & Heating are here to help. We have been cleaning drains for residential and commercial clients for many years. With a range of great cleaning machines, we are able to cut through pesky debris that has been clogging up your drain with ease. 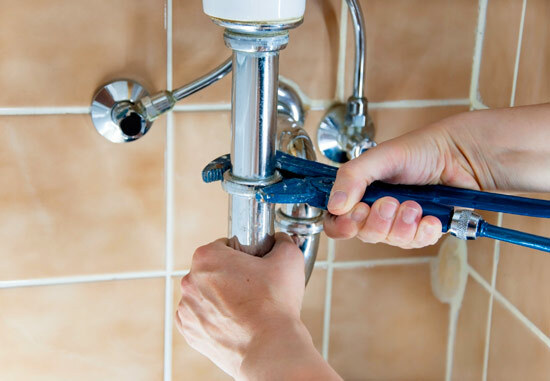 At Mike Tilton Quality Plumbing & Heating, we value our customers and give them up-front hourly pricing/equipment pricing on all of their plumbing and drain cleaning needs. We take the time to discuss one-on-one with every customer about what exactly we are gonna do and what they are paying for. We strive to keep our prices as reasonable as possible, and even offer senior citizen and military discounts. Don’t let clogged drains slow you down, call the experts at Mike Tilton Quality Plumbing & Heating today. At Mike Tilton Plumbing and heating we offer sewer jetting services. This is a powerful high pressure water jetting nozzle that can cut through and clear out anything that can stick inside of a drain pipe which cause the system or fixture to backup. These impressive machines will have even the worst types of caked on sludge, scale, and debris completely eliminated leaving the piping in like new condition. No cable can do this and that’s why this is a popular option on troublesome sewer lines. Another very popular service we offer is our drain line video camera inspection. We can put a camera into a drain line, from 2" in diameter and up, and it will show in vivid color the entire line and its condition. We take a video of this and can email it to our customers so they, too, have a record of their drain line conditions. Another advantage to this work is the locating ability. We can locate the head of our camera in the ground within a few inches, including depth. This helps when we find a bad spot in the drain line, because it tells us exactly where the problem is and we can dig down on a spot instead digging around looking for a spot. This saves a lot of time and yard/floor damage for the customer. If you are having problems, or just wish to spot potential future problems, just call Mike and we can setup a day and time for your sewer line video camera inspection!